The 32GB HTC One M9 was expected to be released today in Taiwan. But as they say, Man plans and God laughs. According to reports coming out of the region, an issue with the software employed on HTC's new flagship model has forced the company to delay the launch of the handset. An email reportedly sent from HTC to the Central News Agency in Taiwan says that the HTC One M9 will be available "as soon as possible" as HTC loads the handset with "the latest version of software." Some consumers who pre-ordered the HTC One M9 posted on Taiwanese 3C social network website Mobile01. 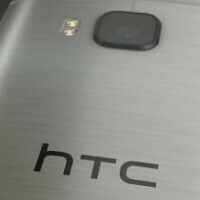 According to these posts, HTC had informed them that the launch would be delayed until this Friday, March 20th. One poster on the messaging site claims that the software bug could lead to "boot failure." Since no launch date has been made official in the U.S., there is no word on whether this software issue will delay the release of the phone in the states. Recently, an electronics store in New York had posted on its website that the HTC One M9 would launch on March 25th, which would be the one-year anniversary of the HTC One (M8)'s release. Fyi, Samsung always release their phones after a month of the initial announcement, they don't rush their phones and give us a half baked product. Check HTC build issues, their 1st batches ALWAYS suffer from build problem, go to m7 and m8's forums and you ll get my point. Delayed? No problem. We the people doesnt care for your delays anymore. I mean look at galaxy s6. Who would care if you are delayed or is available now? Go to s4 s5 forums you'll see the same thing idiot. I will say one thing about Samsung. Upping the screen res and shrinking the battery is a great upgrade. Also the smaller camera and glass back looks really durable. No micro SD slot. Samsung fans are a lot like donkeys, real stubborn. I'll admit the s6 is a good looking phone but to blindly discount other phone because you think Samsung's commercials are more cleaver. The company downgraded and got ride of most of its selling points and you're defending them. Follow the heard sheep.